We love cupcakes, we love booze – so why not get the best of both worlds with a free liquor-laden mini cupcake from Prohibition Bakery in the LES? 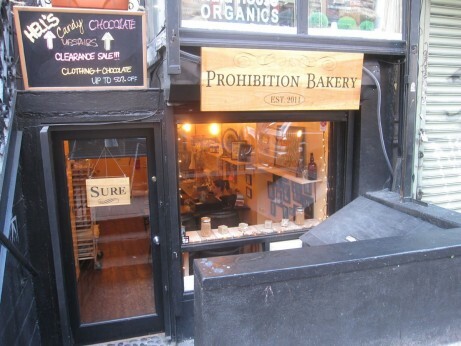 Started in 2011 by Brooke Siem and Leslie Feinberg in 2011 (check out this YouTube video), Prohibition has about 15 rotating cupcake varieties with combinations such as the Old Fashioned and Pretzels & Beer. Prohibition Bakery: 9 Clinton St. @ Houston St.